Racing Next on April 27th! Experience Life at Full Throttle when the Bombers start their Main Event Three Wide for the first time at Central Arizona Speedway on March 30th. 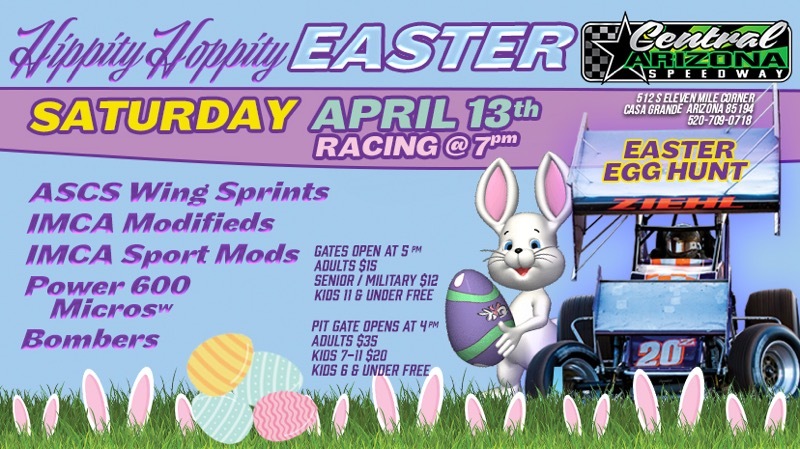 IMCA Modifieds, IMCA Sport Modifieds, Pure Stocks, and Power 600 Micros join them for plenty of racing excitement. Racing action begins at 7:00pm. Pits open at 4:00pm, Front Gates open at 5:00pm.